In this class you will learn to draw a black and white mandala using ink. We will create a 5x5 inch mandala, a perfect manageable size for your first project. In a follow-up class we will explore using color in mandala making. Drawing mandalas can be used as a mindfulness exercise, as part of a meditation practice; it can be used as a warm-up for producing other art; and it is a beautiful art form on its own. We begin with careful planning, creating a carefully measured pencil grid-form. This provides symmetry and a form to work within. The creativity can flourish within our planned form, as we work on building a mandala from the center outward. You can draw mandalas anywhere. 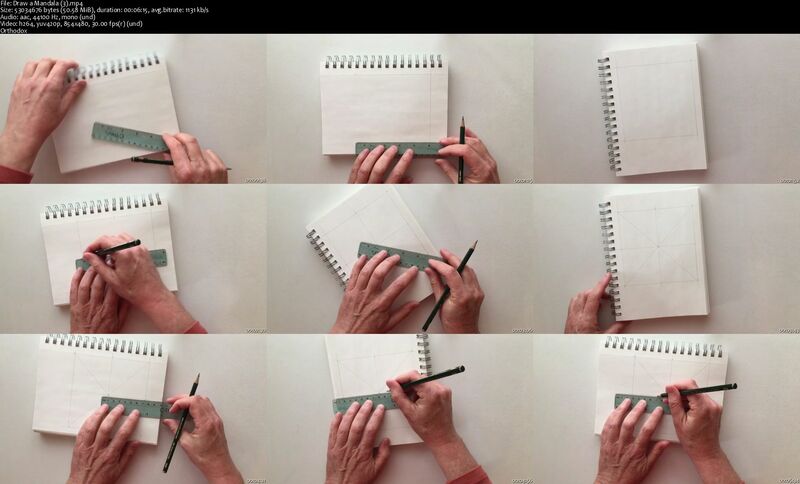 The project we will be working on in class can be completed in a 5 ½ by 8 ½ inch sketchbook. Using a few simple drawing tools, this is an immensely portable art form. The variations in size are limitless. Since you will be building your mandala in a step-by-step technique, you can work on it during small blocks of time, or in a more focused time frame. 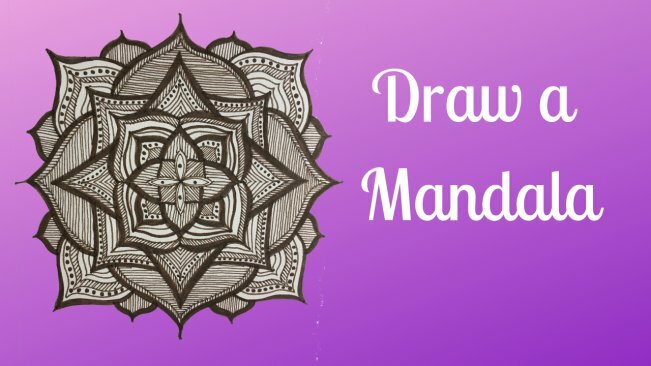 Mandala drawing is great for anyone from beginners to professional artists.